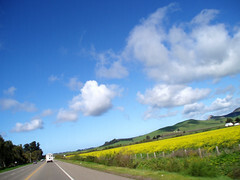 Girl friends getaway road trips can be a great marketing oportunity for innkeepers. “Friends meeting friends in places where none of you live.” This is a Nora Ephron quote I wrote down a few years ago thinking I may use it one day in a blog. With her unfortunate and untimely passing last month this quote came to mind and I searched through my neatly organized desk drawer (!) and found it written on a sticky note that had lost its stick. This may not be one of Nora’s most memorable quotes but the simplicity of it is what I like. I love road trips and combining one with a girls’ getaway vacation seems like a great marketing opportunity for innkeepers. A trip where you can meet up with your best buds in a place you all agree on, where none of you live and can let loose, relax and explore. I searched the web for a road trip that would fit this criteria. A 70 mile stretch of I-95 between Palm Beach and Miami caught my attention. “Some head south for the sun; others, the shopping. Here is our guide to the best vintage stores in South Florida.” Sounds like a blast for a group of girlfriends on the lam. Remember a road trip is as much about how you get there as where you are going. Renting a vintage car for the trip would add to the adventure. Take a look at the two day itinerary the author has put together with some real funky shops and eats along the way to experience. Wherever your bed and breakfast is located, I am sure there are unusual shopping and local dining adventures that would make a great one of a kind Girls Getaway Road Trip package. Start your engines! The ideas and opportunities for creative packaging in this arena are boundless. Spas combined with wine is another draw for a no stress girl’s getaway package. I located a spa in California that offered “Vino Therapy.” What? I just had to read on to find out what that was. Here it is: “The power of the grape, penetrating, protective qualities of topical treatments based on oils extracted from red wine, Chardonnay and Riesling grape seeds.” My first thought after reading this was…I’d rather drink the wine and receive the “penetrative and protective qualities” that way. To be fair the spa does offer both methods of enjoyment. Just another niche market to add to the list! Some more research brought me to ‘Road Trips for Girlfriends’, an online magazine “for women interested in planning their next girls only road trip.” You can find a lot of information on road trip destinations, themes, travel gear and travel tips. I highly recommend reading one of their latest articles about the authors search for the best cupcakes in Oklahoma City. She found it in Sara Sara Cupcakes, a destination with great sweets and the added pleasure of a milk bar. “Good friends sharing a simple pleasure on an idyllic day without a care in the world.” Another great quote that really paints the picture. Think about it. A perfect girlfriends’ getaway road trip starting right at your inn’s driveway that includes a two, three, four days or more adventurous itineraries. Whether the road leads you to funky shops, vino therapy, or cupcakes and milk, it’s all in the fun of discovery. This entry was posted on Tuesday, July 10th, 2012 at 3:42 pm	and is filed under Market Trends. You can follow any responses to this entry through the RSS 2.0 feed. Both comments and pings are currently closed.